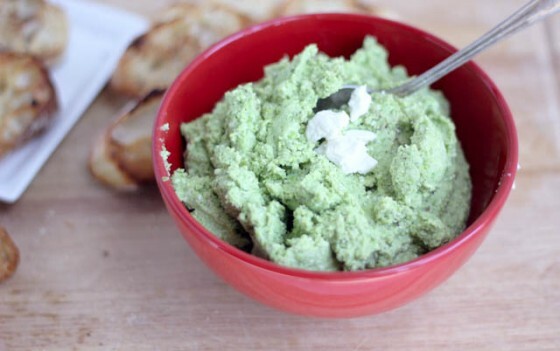 I am sharing some Sweet Pea Feta Parmesan Dip today at Eat Drink Love. Go check it out, you will adore this dip! The texture resembles hummus and the peas add a sweetness that is a perfect compliment to the salty cheeses. I stinking cannot get enough of these cards. Seriously, how true is this? Don’t deny it. I told Paul about this and he didn’t get it until he found out that there was a store called Forever 21. We are cultured over here. Have you entered to win the Cuisinart 12-cup Food Processor? We want your best salsa and tomato dip recipes! No-Knead Bread. This is bread, that you don’t have to knead, obviously. For a lazy bread-love like myself, this is bread perfection. The end. Lobster Rolls with Garlic Butter Buns. I have been thinking about these all. day. long. Beer Braised Potatoes with Rosemary Beer Gravy. I mean, how on earth could a side dish get better? Yep, all very good things. PS – are you going to IFBC in Portland? I will be there, hope to see you too. Are you not blogging any more Amber? I hope things are going well! Hi Cassie, I came from Stephanie’s blog and had to pop by here too. I already commented on the dip but it really does sound yummy. I love those e-cards too, they never fail to make me giggle. I’m off now to subscribe and stalk I mean, err, follow you on Twitter, Pinterest, Facebook, and StumbleUpon. the cheesy pea dip sounds delish. I make a pea avocado dip. Will have to try yours as well. The cards are so funny, they always put a smile on my face. B/W that card.. Love it.. 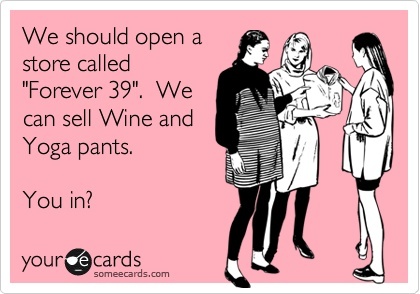 Forever 39, yoga oats and wine… Perfect!! LOL! I am laughing histarically at that E Card. I love it! A store for wine and yoga pants – I would totally live there! PS…I live in yoga pants; I’d totally shop there!!! Oh my goodness. LOVE that Paul didn’t know about Forever 21!!! HAHAHA Cassie that someecards has me cracking up!! Wine and yoga pants, count me in! I’d ring up quite a bill at forever 39. Wine and yoga pants sound like a perfect Friday night to me! Thanks so much for guest posting for me! The dip sounds soooo good! I heart you, I SOOOO wish I was going to IFBC, but I just got an opportunity that takes place that same week that I just can’t pass up. But some day you and I will have drinks and chat! Those cards crack me up! Love them. And this dip sounds delightful. I’m aiming to get a tomato dish posted on the 24th!